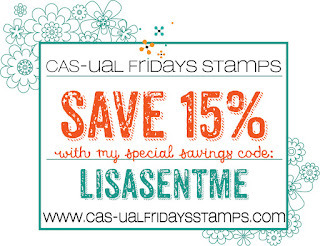 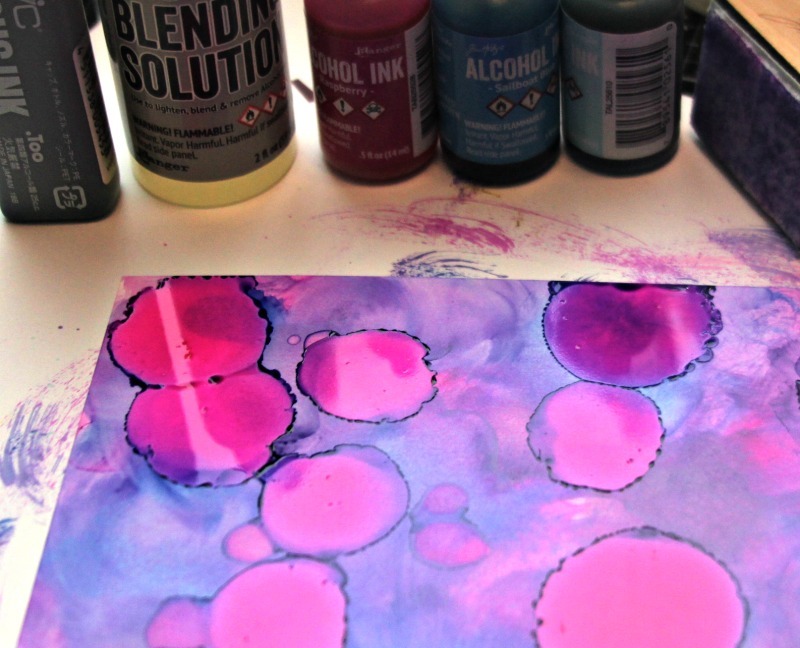 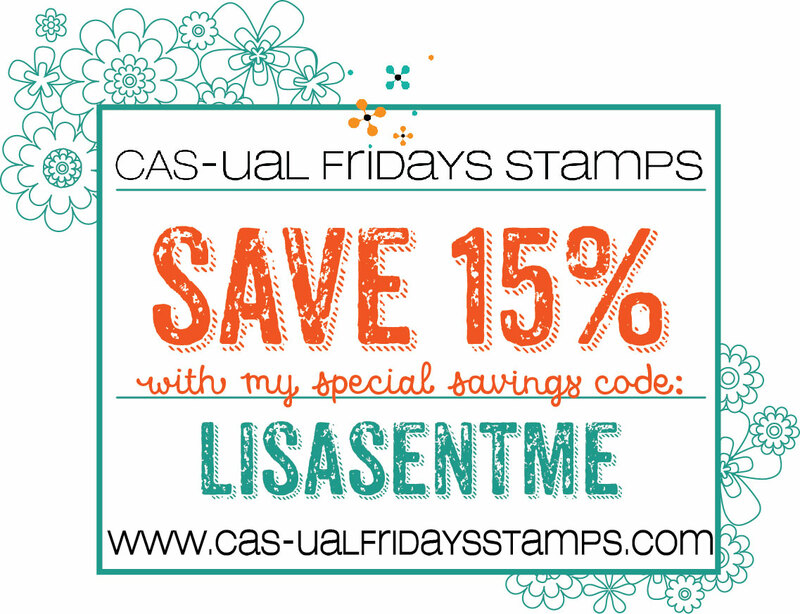 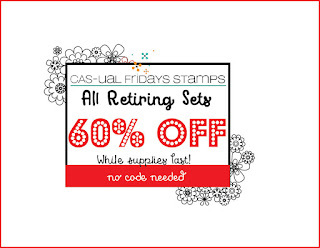 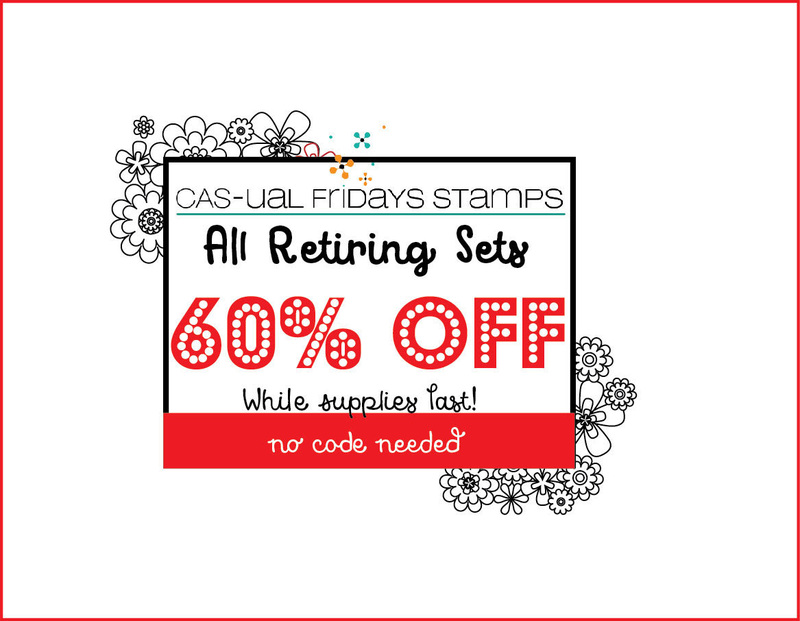 CAS-ual Fridays Stamps: Alcohol Inks and Foil-Not Just For Backgrounds! Alcohol Inks and Foil-Not Just For Backgrounds! 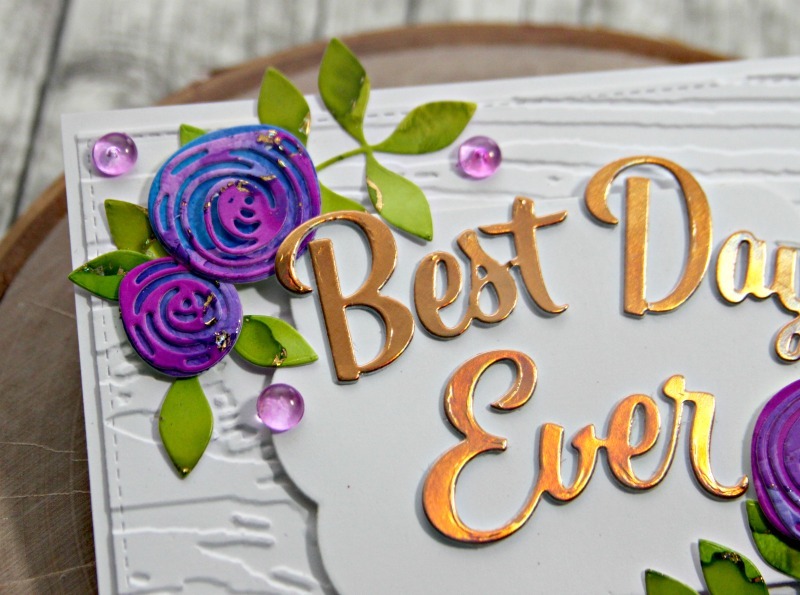 Lisa here sharing a card I made using some alcohol inks and foils! Sometimes I find it hard to work with alcohol ink backgrounds because they are SO bold... 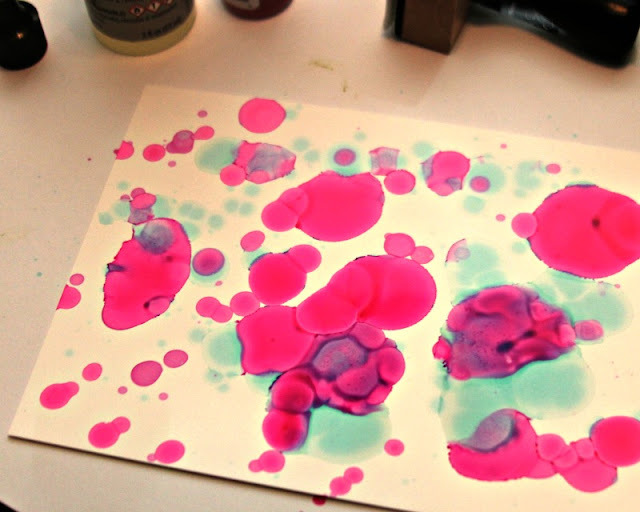 I make them.. and I love them.. and they are beautiful... but I have a hard time using them as backgrounds. 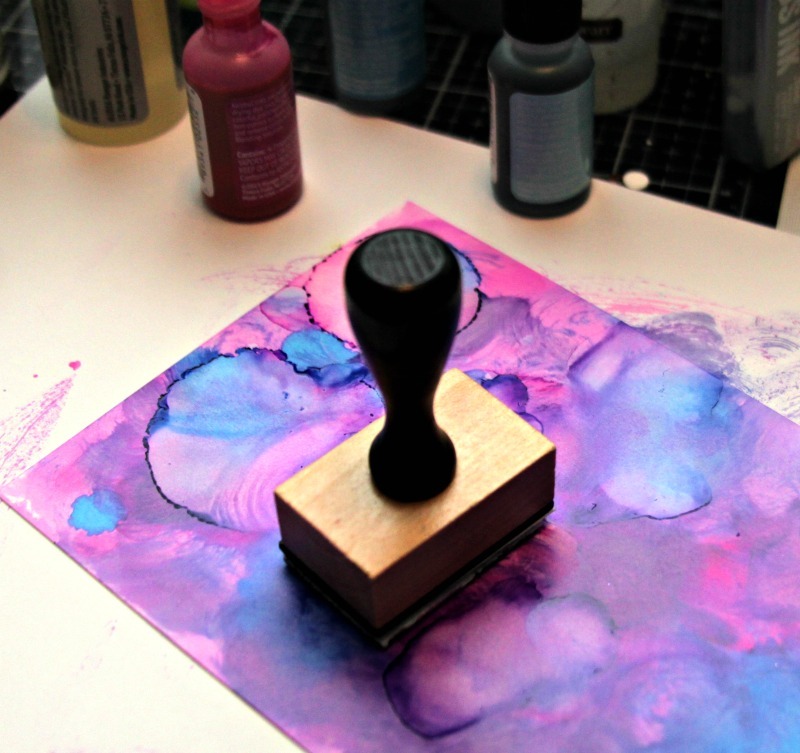 But I LOVE to make them and use them with dies even more! 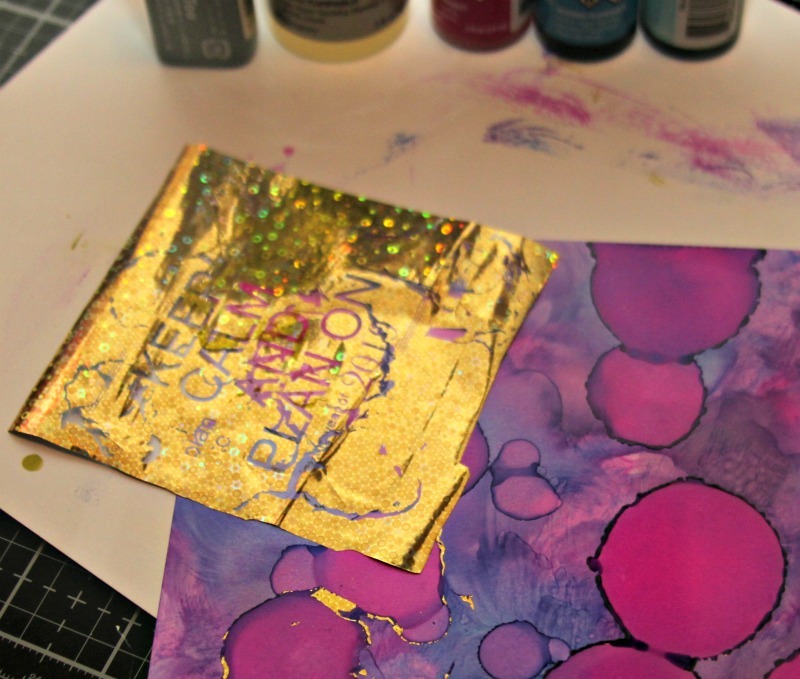 And add a little bit of some foil from my scrap leftovers... even better! 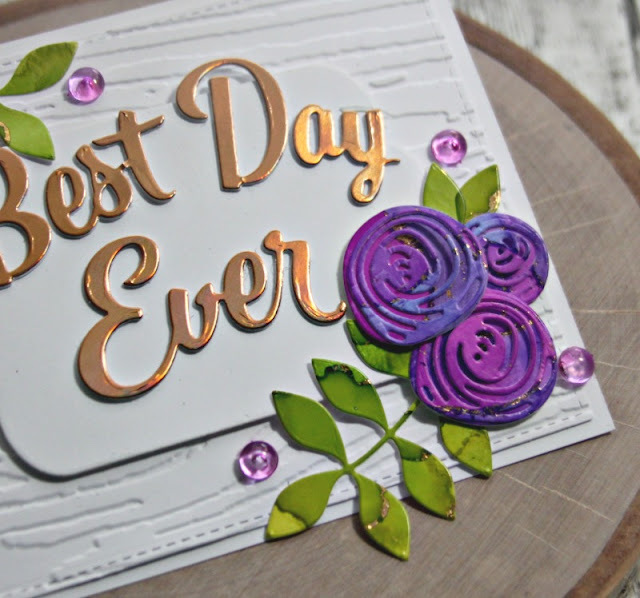 With the gold flecks in the flowers I decided to cut my Best Day Ever sentiment from some Foil Cardstock that I had in my stash. 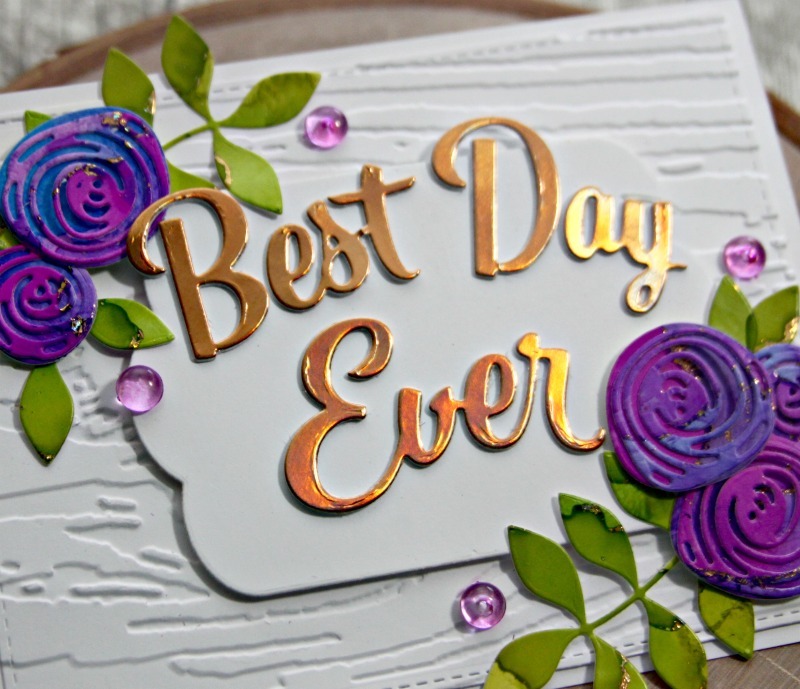 I cut it once from the foiled paper and twice from white cardstock and stacked them together for dimension. 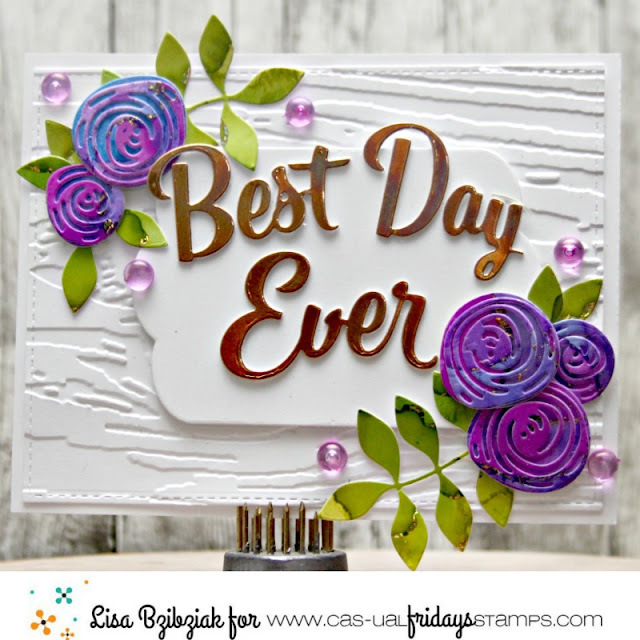 And the Bubble Box Fri-Dies make such a pretty backdrop! 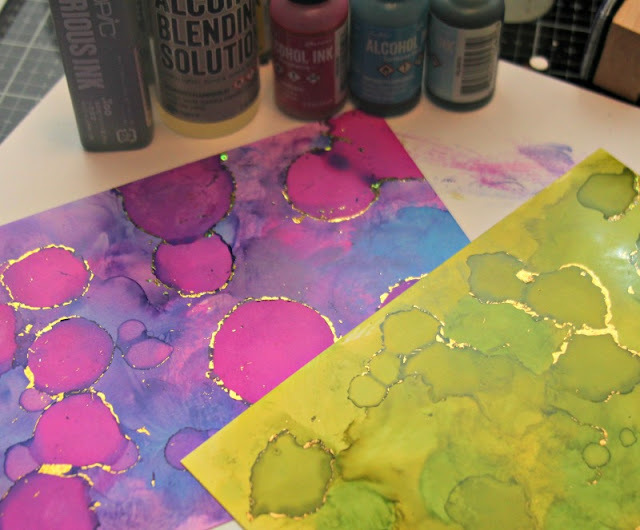 using foil with alcohol inks. 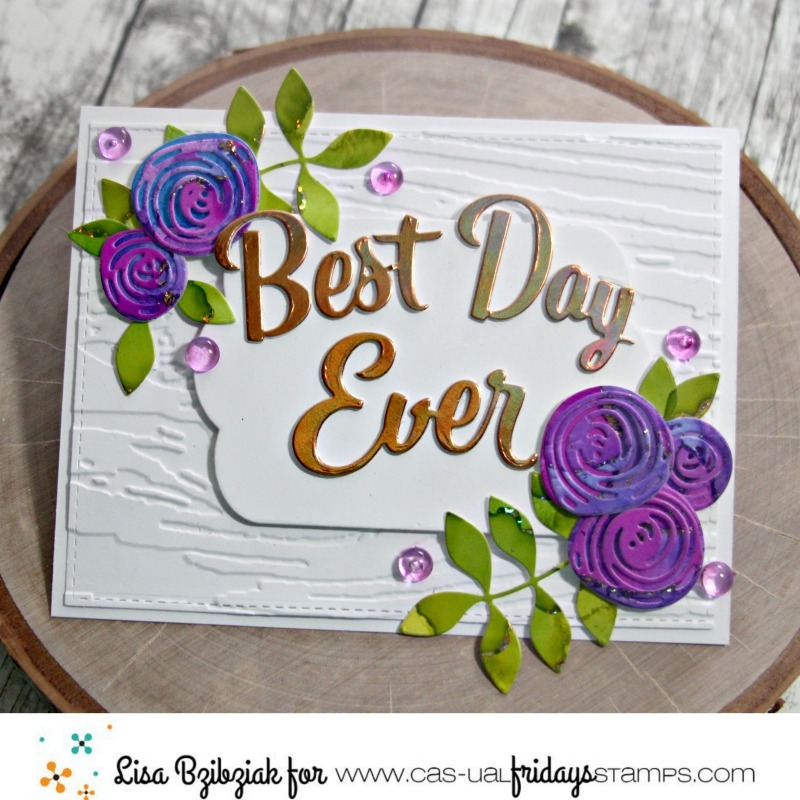 Awesome card, I love the flowers cut from the alcohol inked paper!